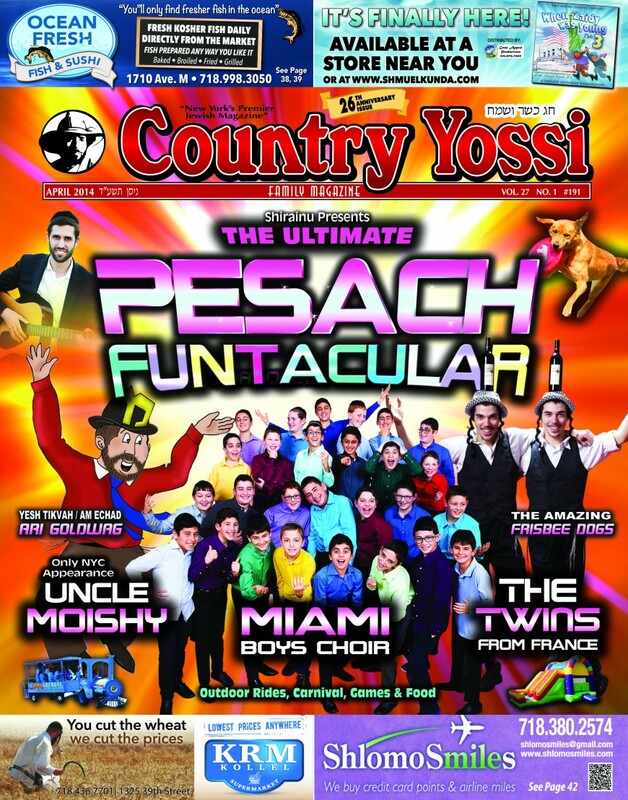 Country Yossi Spectacular Pesach issue coming Friday! 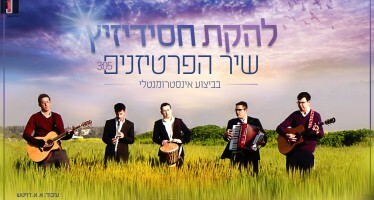 the mind-boggling details of the Ultimate Pesach Funtacular! Read all about the unbeatable collection of super-talented stars that will appear, like The Miami Boys Choir, The Twins from France, Uncle Moishy, Ari Goldwag and a few other surprises- not to mention the amazing outdoor rides,carnival, games and food! And not to worry! This issue contains NO CHOMETZ and is totally NON-GEBRUKTS! But just to be safe don’t use the first or last page to wrap your fish! Look for it Friday morning in a store near you!